“Excellent science communication merges artistic beauty with scientific precision. I value it because science is key to solving serious problems and understanding how our world works. 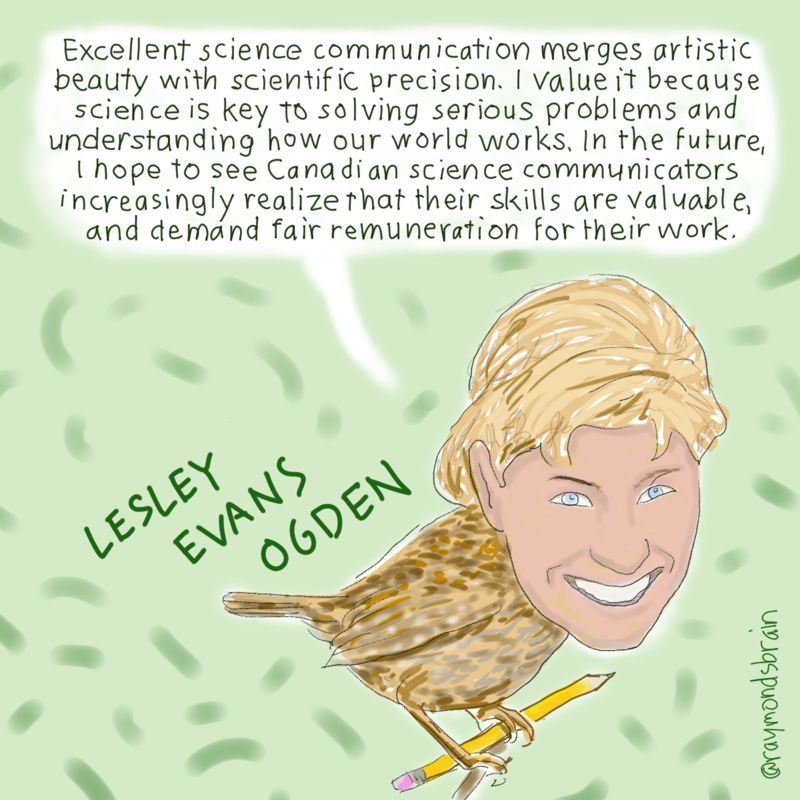 In the future, I hope to see Canadian science communicators increasingly realize that their skills are valuable, and demand fair remuneration for their work.” – Lesley Evans Ogden, freelance science journalist. Originally posted on September 28, 2016.